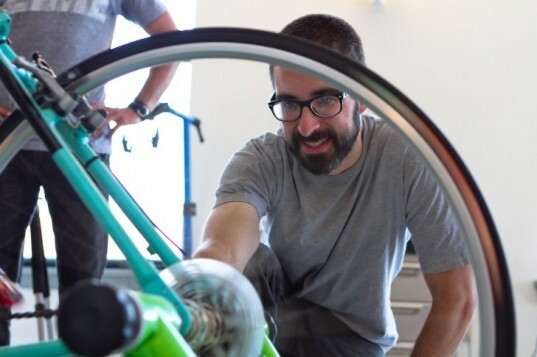 To commemorate the 10 year anniversary of the Prius and a decade of environmentally sustainable transportation, Toyota has teamed up with Parlee Cycles in an effort to create a bicycle based on Prius design principles. Both companies are known for their innovative approach within their own industries, but their goals are the same: to develop sustainable, cutting edge green design and technology. Commissioned by Toyota, Parlee is developing this state-of the art, ultra efficient bicycle in an effort to encompass the best of both the auto and non-auto transportation worlds. To document and comment on the event, Parlee has reached out to cyclist and blogger John Watson, who has done a great job at giving us a first hand account of this exciting event. Despite the fact that bicycle design has stayed relatively the same throughout the years, the design team decided to look at all the different possibilities, using inspiration from city, road, and touring bikes, and combining it with some Prius inspired concepts. 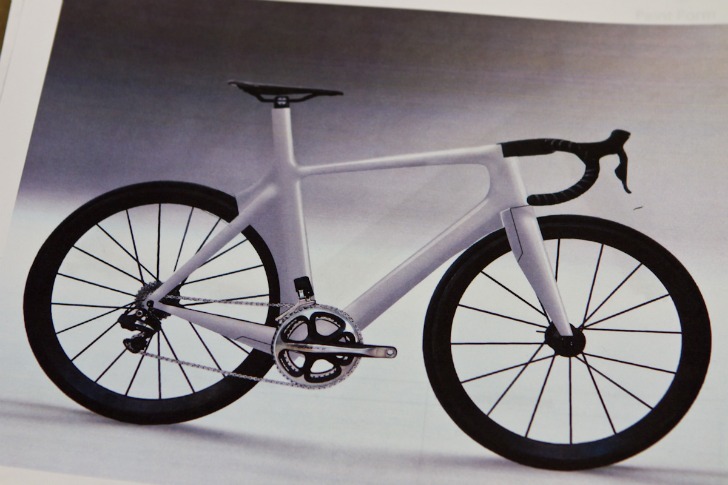 The preliminary design sketches alluded to what the designers call an “areo road bike. The bike frame was designed using carbon fiber tubing – a lightweight, aerodynamic, stiff and seamless material, perfect for racing – making for a good flexible bike. Although carbon fiber isn’t exactly recyclable, Parlee minimizes their waste by reusing all of their scraps in their design. The carbon fiber tubing is then covered with a raw black finish, giving it an elegant look. The mold is overlaid on the tubing along with resin. The bike is still in development, and this is just a small taste of what is being considered a revolutionary bike. Much of the design details are being kept a secret, like what exactly the tech innovation firm Deeplocal is doing for the project. Make sure to follow John Watson’s blog, Prolly is Not Probably, for more updates as he chronicles the construction of what is sure to be a really awesome and interesting bike. Good team bad ideas... This is far away from an efficient and green bike ! A carbon frame when green composite materials exist or titanium ? still a chain ? when carbon belt drive and integrated rear speed hub are already on my everyday bike ? This bike geometry is really bad for an urban use. (not versatile at all) where is the real innovation in this project ? I am a designer and an intensive bike user. I ready to help them for even free ! any time just call me.